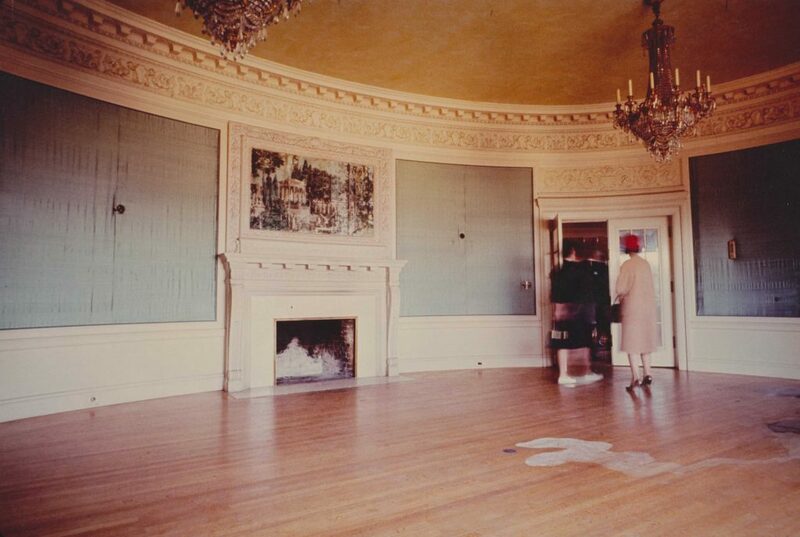 By the time the 1962 Columbus Day Storm hit Portland, Pittock Mansion had been vacant for several years. 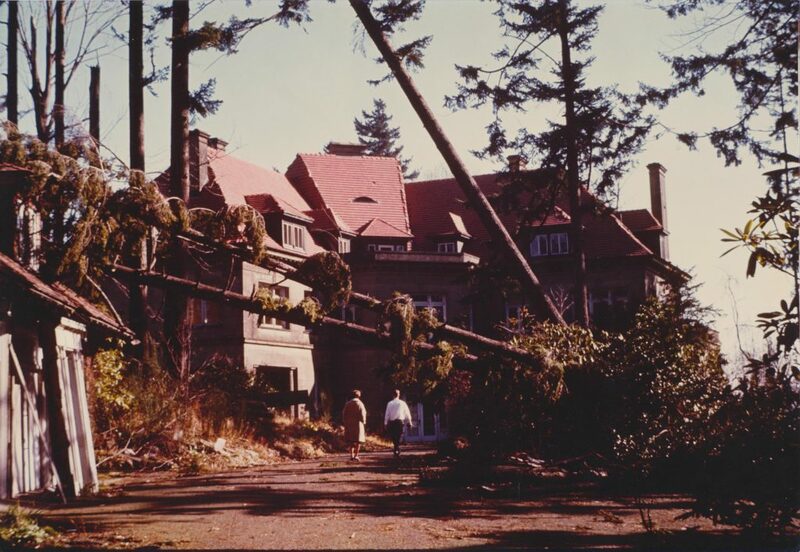 The unoccupied mansion suffered extensive damage during the storm; high winds blew off one-third of the ceramic roof tiles, windows were shattered, and giant Douglas Fir trees were toppled across the estate. 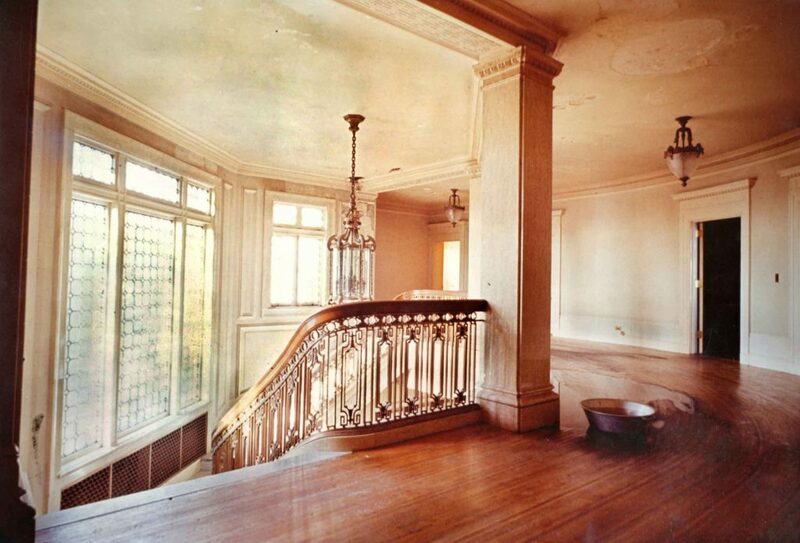 No repairs were made to Pittock Mansion after the storm, and the damaged, vacant house sat exposed to the elements for the next 18 months, resulting in water damage throughout the home. See below for photos of the damage taken in 1964. The storm toppled giant Douglas Fir trees across the estate. 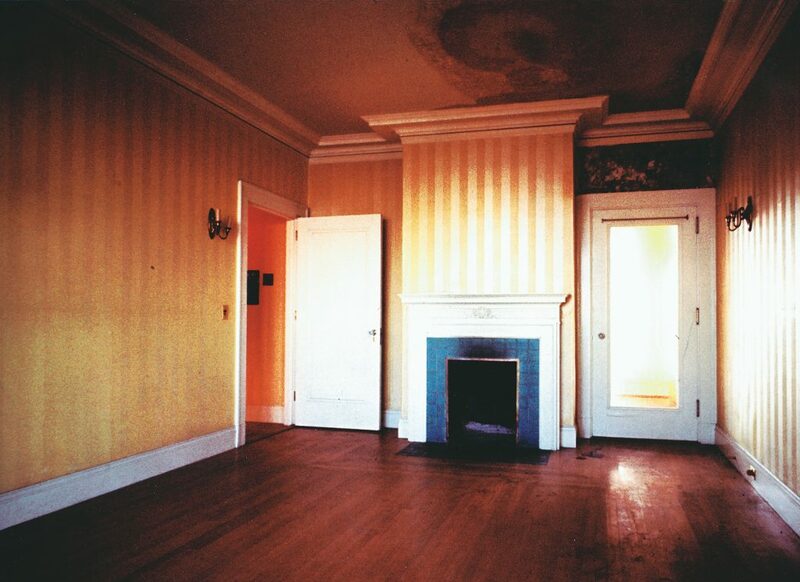 Water entered through broken windows and missing roof tiles, staining the Music Room’s wallpaper and wood floors. 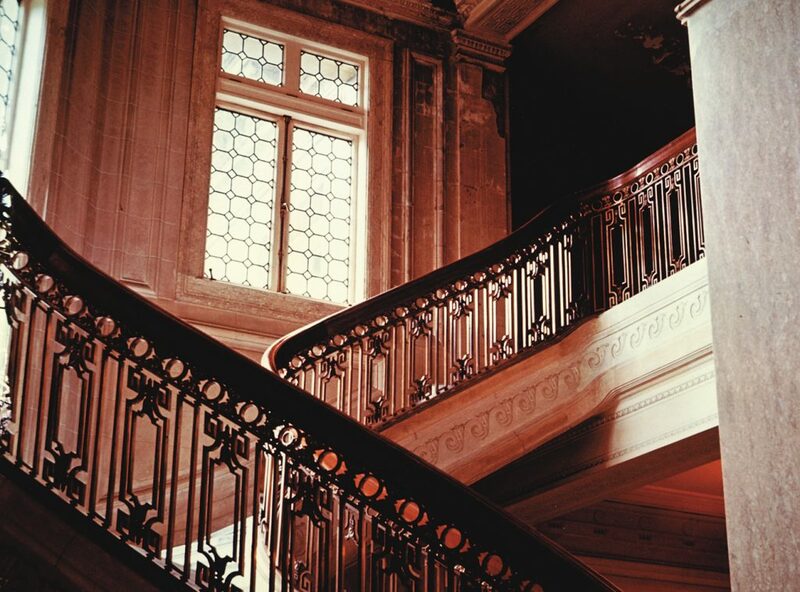 Decorative plaster in the Grand Staircase was badly damaged. A pan caught leaks on the 2nd floor landing. The West Bedroom suffered extensive water damage on the ceiling.